The Argentine film industry is one of the most developed in Latin America and dates back to 1897, 80 years after the Argentina independence and not long after the birth of cinematography. 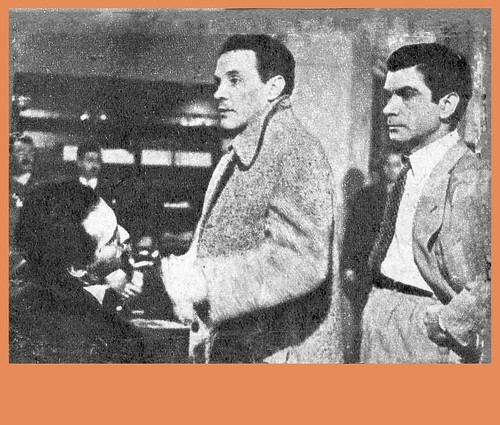 This early incorporation of film into the local culture has been fortunate as it has left behind documentation of the city’s development, issues and identity due to the common thematic of Argentine films, mostly centered around local customs, literature and social conflicts. Immigrants, indigenous people, the birth of tango, gaucho heroes, labor issues, local literary adaptations, peronism, dictatorships, present subject matter of Buenos Aires, portraits of people from the South and North of Argentina, and descriptions of a stagnated society are all themes of many films the country has produced and been awarded for, including two Oscars for best foreign films (La Historia Oficial 1986-Luis Puenzo and El Secreto de Sus Ojos 2010- Juan Jose Campanella). For a closer look at local film the Pablo Ducros Hickens Film Museum in La Boca, has recently reopened and showcases equipment and antique optical artifacts, props, set designs, costumes, screenplays, awards, objects, photographs, and other documentation relating to the local industry. They are also working with the Carlos Gardel Museum where current and old tango films with English subtitles are exhibited each Monday at 6.30pm- Address- Jean Jaurés 735, Abasto. The San Martín Theatre and the MALBA also exhibit retrospectives and local independent films. This entry was posted in Argentine Culture, History, Where to Go, What to Do and tagged argentina, arts, buenos aires,, carlos gardel, culture, film, Film museum, Gauchos, History,, imigrants, malba, oscars, peronism, Tango, teatro san martin by Fierro Hotel Staff. Bookmark the permalink.